(NaturalNews) A significant new report confirmed what scores of legal reform advocates have long suspected – that the decades-old "war on drugs" that was begun in the early 1970s has been a monumental failure in that it has had no influence whatsoever on reducing the level of drug abuse in the United States. Furthermore, the report noted, the "war" has harmed public health and should be ended in favor of a process that focuses more on decriminalization and other policy changes, the UK's Independent reported. Begun in 1971, when President Richard Nixon declared a "war on drugs," the U.S. embarked on an effort to combat the importation of drugs via military intervention and assistance to drug-producing nations like Colombia and Mexico. The U.S. spends about $500 million a year on such prevention and intervention programs internationally, as well as domestically. Police departments and various National Guard units have been involved in the program on some level for years. But if policymakers heed the advice of researchers, the war's focus may change substantially in the years ahead. As noted by The Independent, the study, which was commissioned by Johns Hopkins University and published in the British medical journal The Lancet, found that anti-drug policies and laws have had "no measurable impact on supply or use" of drugs and therefore cannot be justified on scientific or public health grounds. The authors of the report present "compelling evidence" that countries like Portugal and the Czech Republic, which have decriminalized non-violent minor drug offenses, have experienced positive results. Those include "public health benefits, cost savings, lower incarceration [rates] and no significant increase in problematic drug use." The authors urge countries like the U.S. and the United Kingdom – both of which continue to enforce strict anti-drug policies – to consider creating "regulated markets" for cannabis, like those in Uruguay and U.S. states like Alaska, Oregon, Colorado and Washington. Though the Obama administration has chosen not to pursue legal action against those states for permitting citizens to use marijuana recreationally, such use nevertheless remains a violation of federal law because pot is still classified as a Schedule I drug. In recent years polls have indicated that a majority of Americans now favor universal pot legalization. The study's authors examined evidence from around the world and found that drug laws have been applied, generally, in was that were "discriminatory against racial and ethnic minorities and women," as well as a manner which "has undermined human rights." In the U.S., the American Civil Liberties Union has tracked a rise in the militarization of local police forces that often use heavily armed SWAT teams to serve warrants in the middle of the night for minor drug charges. Such raids have resulted in the deaths of small children and and other casualties. "Neighborhoods are not war zones, and our police officers should not be treating us like wartime enemies. 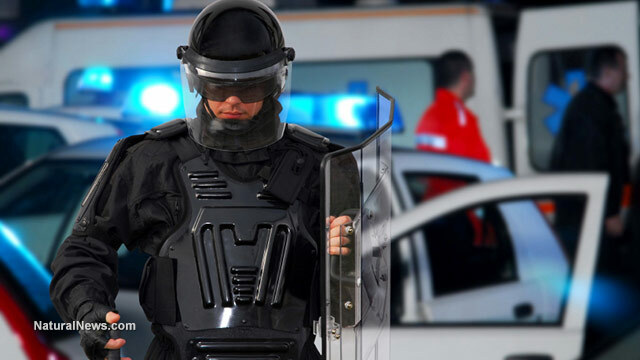 However, the ACLU encountered this type of story over and over when studying the militarization of state and local law enforcement agencies," the legal aid group noted on its website. The new report also identified that prison terms for minor drug offenders made the single "biggest contribution to higher rates of infection among drug users" with dangerous and deadly diseases like HIV and hepatitis C.
Dr. Chris Beyrer of Johns Hopkins Bloomberg School of Public Health said prohibition was the the focus of many national drug laws and were "policies based on ideas about drug use and dependence that are not scientifically grounded." He added: "The global 'war on drugs' has harmed public health, human rights and development. It's time for us to rethink our approach to global drug policies, and put scientific evidence and public health at the heart of drug policy discussions."